From homepage changeovers to blog maintenance, we can help you keep your website up to date and up to best practise standards. We’re sure you’ve heard it all before. What use is a business without a website? Well if you’re like 90% of the businesses we speak to, finding the time to maintain, review and update your website with all of the latest information, events, products, services and news can be a tricky one! Which is why one of our favourite jobs is helping businesses by managing their websites for them. We can help you with simple changes, like updating graphics on the homepage or adding a new product range, right down to writing new blog posts for you so you can share your latest news with the world (and on time, not six months later). We have experience working with a number of platforms, including WordPress and Magento. Looking for a completely new website? 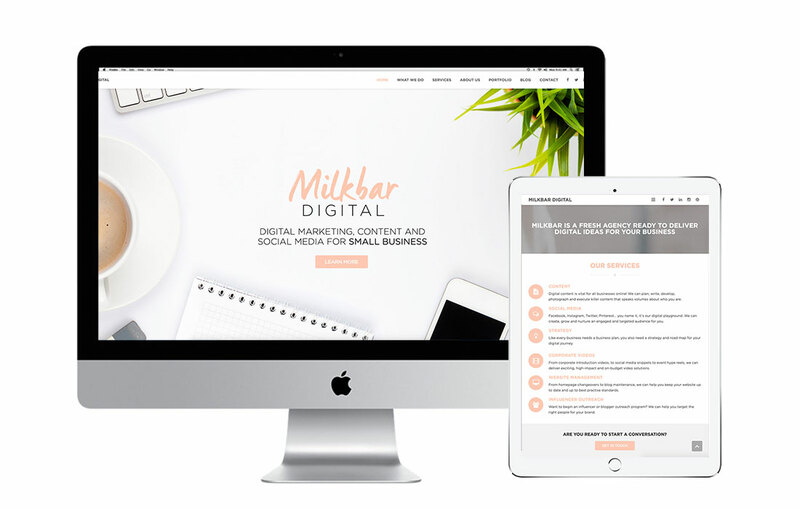 For those of you who may be looking to have a new website developed, we also specialise in creating new websites from scratch for small businesses. Just talk to us about your requirements, and we will happily put together a free, no-obligation quote for your new website. Our aim is always to develop websites that are easy for either yourself, or your web manager (or us!) to continue updating and managing into the future. OR, if you simply want a website review done, we can take a look at what you currently have and let you know our recommendations for improvement based on user experience, competitive analysis and industry trends. (In simple language, we will tell you what’s working for your website and what’s not!). Need to speak to a Melbourne website management agency? Get in touch with us today.